Yesterday I left my apartment without putting the alarm on because I couldn't press the code into the keypad with my gloves on. This morning I figured out that I can put the alarm on before putting on my gloves. I blame my lack of logical thinking on the cold and the fact that as a South African I am not equipped or adapted enough to deal with freezing weather. When my brother tells me the weather in Cape Town is 33 degrees Celsius I want to jump on the next plane to fly there to hit him. -12 degrees here on Monday. It's snowing heavily and the temperature is supposed to drop to -29 degrees Celsius by Sunday. Fun times. Kiev is in the news quite a bit lately, the peaceful protests have turned violent. Luckily I don't live or work in the city centre so I am safe. There is a part of me that thinks 'Wow I am living in an event that will one day be part of history and will feature in history text books. How cool is that?' But then I think of the Ukrainian people, how angry they are, how many of them leave their warm homes to protest in the freezing weather and that puts it in the right perspective. I have to put it out there - I LOVED AMERICA. I was a bit nervous. I watch CSI, Dexter, Bones. It does seem that there are serial killers everywhere. But America was better than they show on TV and in the movies. The people are terrific, Five Guys fries are awesome, Shake Shack burgers are the best, and the Gingerbread lattes at Starbucks...to die for. I got to stay a half a block from Times Square, visit the 9/11 Memorial, eat family-style Italian food, see a Broadway musical, the Holocaust Museum in Washington DC, eat Maryland crab cakes, Maine lobster, do the Freedom Trail in Boston, experience a blizzard and winter storm - it was awesome! Definitely worth another visit. Hush Baby became available on Amazon just before Christmas and is doing well with some good reviews already. Check it out. This week The Colorful Art of Pain made its appearance on Amazon. This is a book I did with Canadian artist Daniel Quinlan. I worked with his wife when I was in Moshi Tanzania. Daniel suffered ongoing chronic pain from a pinched sciatic nerve. He decided to stop painkillers and started painting as a way to take his mind off of the pain. When he used up his brushes he turned to finger painting. In a three year period he painted 125 canvases with his fingers until he had to stop when he could no longer move his fingers. 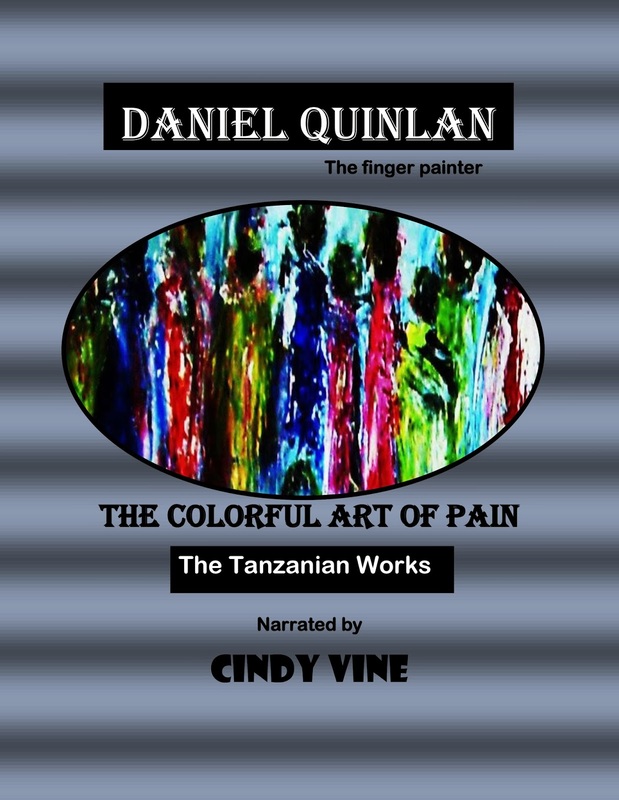 The Colorful Art of Pain contains over seventy of his original paintings he painted during this period. My job was to tie all the paintings together with a story. I have to say I enjoyed the challenge and am very proud of the result. The book is available on Amazon as a paperback and on Kindle. Please check it out. At least the supermarket across the road delivers to the door so I don't have to try and lug home bags of groceries in the snow. Happy 2014 to all! May all your hopes and dreams materialise this year so that this becomes a year to remember for many good reasons.